If you're considering getting a pet spider, than tarantulas are the kinds of spiders you'll be looking at. 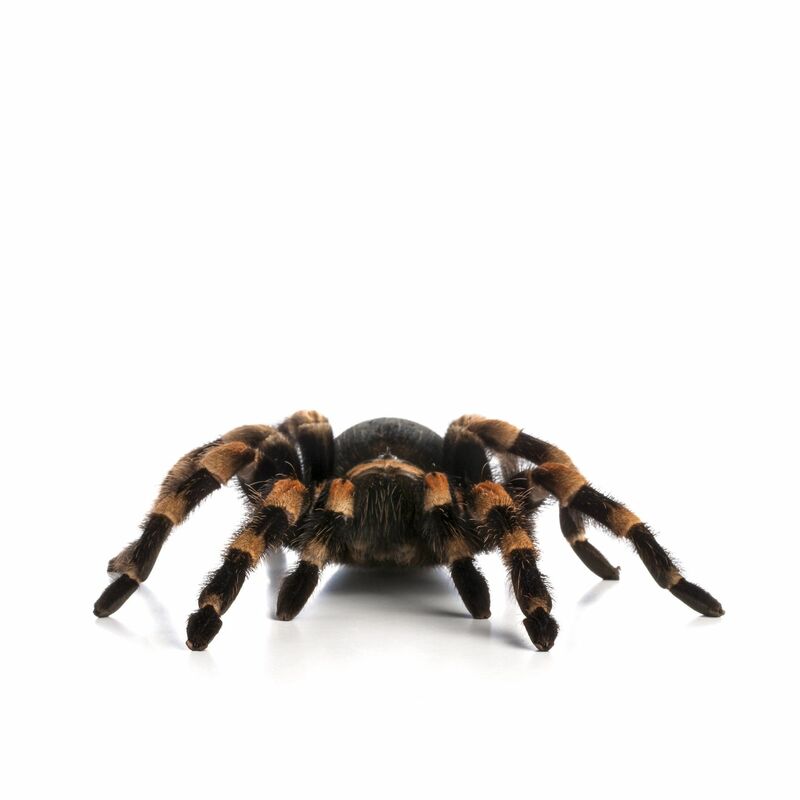 There are over 800 varieties of tarantulas and some make better pets than others. Most beginner tarantulas are ground dwellers or burrowers, and have docile personalities. One of the "classic" pet tarantulas, this recognizable tarantula is often a first pet for spider enthusiasts. They can live up to 30 years, have a leg span of about 5 inches, and only requires a small enclosure. They are also very calm spiders. 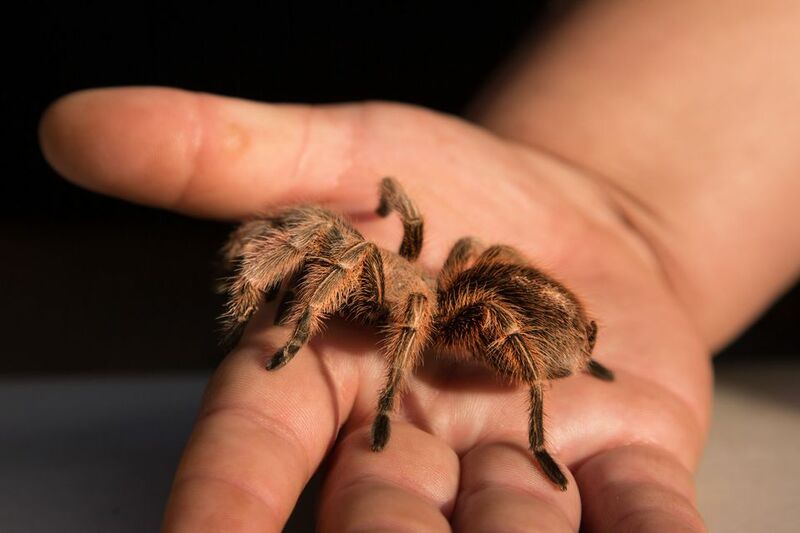 Also known as the Chilean Common, Chilean Fire, Chilean Rose Haired, and Chilean Flame tarantula, this beginner spider is a popular pet for arachnid enthusiasts. Its average leg span is about 5 inches and females can live over 15 years. A typical burrowing spider, the Chilean Rose does require a warm and humid environment but they are known to be quite calm. A little bit smaller than the Chilean Rose, the Costa Rican Zebra only has a leg span of 4 to 4-1/2 inches, but is also a ground dwelling species. These spiders are calm but can be very fast. Females can live up to 20 years and the typical 70-85 degrees F temperatures are necessary, along with a high humidity in the environment. Living up to 30 years, the Mexican Redleg tarantula can have a leg span of up to 6 inches. These ground dwelling spiders are typically pretty docile but they are easily startled. The recommended temperature range for this species is 75-85 degrees F, alongside the typical 65-70% humidity that most tarantulas need. Also referred to as simply the curly hair or wooly tarantula, this spider is very hardy, slow-moving, and fast-growing. It is a ground dwelling spider, like most of the good beginner spiders, and only needs a small enclosure, such as a 5 or 10 gallon aquarium. Temperature requirements are similar to that of other pet tarantulas and these spiders only require room temperatures of 70-85 degrees F.
Like many tarantulas, the Pink Zebra Beauty hails from South America. This beginner spider is often confused with a different kind of spider called the Chaco Golden Knee and is a very hardy tarantula. Females can live up to 25 years and they can grow to have a leg span of up to 6 inches. They typically have calm personalities. If you are specifically looking for a good arboreal tarantula option and not a ground dwelling species, consider the Pink Toe tarantula. It may also be referred to as the Guyana Pink toe, Common Pink toe, South American Pink toe, or Pink-toed tree spider. This spider can have a leg span between 3-1/2 and 5 inches. Females only live up to 10 years. Housing for this type of tarantula is much different than a ground dweller since it will need branches and more height to the enclosure to allow it to climb. A brilliantly black and large leg span spider, the Brazilian Black tarantula makes for a strikingly pretty pet. The females of this species can live up to 30 years and will eat about half a dozen crickets each week. It's recommended that temperatures should be in the 70's and humidity around 60% for this tarantula. Like other tarantulas, the Mexican Red Rump is easy to care for and grows to have a leg span of about 5 inches or more. These spiders are interesting because in the wild they tend to live near other Mexican Red Rumps, so if you are interested in having multiple tarantulas, this may be a good option for you. While slightly more aggressive than the other beginner spiders, the Desert or Mexican Blonde tarantula still makes a good option as a starter spider. This spider grows to be a little bit bigger than some others, but they do have similar care requirements when compared to most beginner tarantulas. Thinking of An Insect or Spider as a Pet?